The Olam Shalem project aims to strengthen the connection between Jewish children all over the world and Jerusalem. 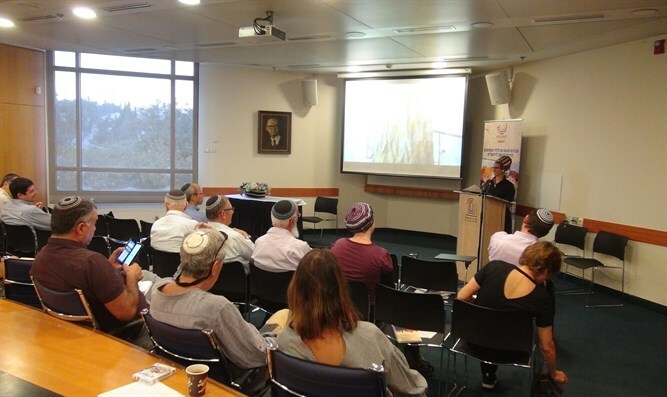 The Steering Committee of the Olam Shalem project on Sunday held a conference at the Menachem Begin Heritage Center in Jerusalem. The purpose of Olam Shalem is to strengthen the connection between Jewish children all over the world and Jerusalem. Project manager Adi Werner presented the project and the 60 schools participating in it from Argentina, Brazil, France, Australia, Germany and the United States. The project operates in English, French, German and in the future will operate in Russian as well. “The idea of the project is to connect young people around the world, wherever they are, to Jerusalem,” explained Rabbi Benji Levin, one of the leaders of the project, in a conversation with Arutz Sheva. “We have here educators, writers, people from all over the world who are finding a way to bring materials to educators and teachers all around the world so that their young students can find their own personal connection with Jerusalem. So many things that are in Jerusalem – the idea of kindness, of unity amongst the Jews themselves – these are values that young people will be able to connect to and connect themselves to their own Judaism and to Jerusalem and to the State of Israel which is a very important thing,” he added.